SAN JOSE, Calif. - Oct. 20, 2009 - To address evolving information technology (IT) needs around increasingly distributed and collaborative workforces, Cisco today introduced its Borderless Networks architecture and a five-phase plan designed to help deliver services and applications to anyone, anywhere, on any device, at anytime - seamlessly, reliably, and securely. As the first proof point of its Borderless Networks architecture, Cisco announced the second generation of its Integrated Services Router, the ISR G2. The Cisco ISR G2 helps businesses and service providers simplify and scale delivery of on-demand, networked business services like video and collaborative applications at branch offices. 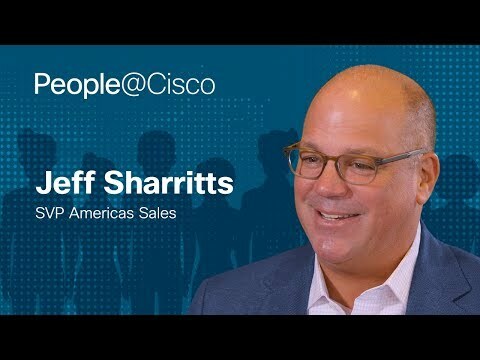 It serves as a natural part of the company's Borderless Networks architecture, which combines Cisco's routing, switching, wireless, and security technologies into a more tightly integrated networking infrastructure that allows businesses to embrace the growing use of video, collaborative applications, and other networked services and deliver them across their enterprises. With Borderless Networks, information technology managers can more easily manage, scale, govern, and protect networks while tightening the synergy between users, devices, applications, and business processes. The Cisco ISR G2 portfolio is built on the company's 25-year routing heritage. It offers as much as five times the performance of its predecessor, the Cisco ISR, the industry's most widely deployed router with more than 7 million units sold since its introduction in 2004.
Business video: With business video adoption expected to climb to 77.6 percent by 2012 (Cisco VNI Research), and with video proven to play a key role in enabling business innovation and better customer service, the video-ready architecture and new video digital signal processors in the ISR G2 will be key to delivering medianet capabilities essential to the borderless networks experience. Service virtualization with an "on-demand" service delivery: Borderless Networks solutions decouple hardware and software so that virtual services can be remotely deployed and managed. The ISR G2 implements this with the innovative Services-Ready Engine, which lets businesses dynamically deploy services in branches without costly onsite support. The ISR G2 Services Module comes with up to 1 terabyte of on-board storage, which is useful for video surveillance deployments, and supports up to seven times the performance of previous network modules. Operational savings: The Borderless Networks architecture delivers Cisco EnergyWise across multiple platforms to enable organizations to better manage their power consumption and costs through increased visibility and policy-based controls. ISR G2 extends this capability to the branch office with a new family of integrated EnergyWise compliant switch modules and slot-based power control. The borderless experience: The Borderless Networks architecture breaks down boundaries between location, device, and application. As applications and services are increasingly offered and consumed from beyond the enterprise perimeter, a new approach will be required. The ISR G2 enables sophisticated premise-based services while extending mobility, security, and performance to users, no matter where the user or application is located. The Cisco ISR G2 is a full portfolio of routers designed to cost effectively deliver a range of concurrent services and applications ranging from virtual office solutions, mobility, customizable applications, collaboration, and ultimately to scalable rich-media services like Cisco TelepresenceTM, video streaming and digital signage, all with industry-leading security. Cisco 3900 Series Integrated Services Router: The flagship of the ISR G2 portfolio, these routers provide high availability, investment protection, performance and scalability. At the same time they offer unparalleled total cost of ownership savings and network agility through the intelligent integration of market-leading security, switching, unified communications, video, wireless, WAN optimization and application services. Cisco 2900 Series Integrated Services Router: The midrange of the ISR G2 portfolio offers superior value by delivering market-leading security, switching, unified communications, video, wireless, and application services, while providing cost-effective industry-leading investment protection. Cisco 1900 Series Integrated Services Router: The Cisco 1941 is a compact-modular router delivering a broad set of connectivity options including new 802.11n wireless local-area network capabilities, in addition to market-leading services such as security, switching and wireless all in a desktop form factor. Cisco IOS Release 15: The ISR G2 portfolio ships with Cisco IOS Release 15.0(1)M, a new software version delivering enhanced security, voice, manageability and IP services for a more consistent user experience and improved operational efficiency. A single universal image with license-based activation simplifies operations and feature selection through easy software management, enabling faster deployment of Borderless Networks services. A trial software license is also available. Building medianet technologies: The ISR G2 series is medianet-ready, helping businesses and service providers to optimize the delivery of rich-media applications. Cisco is also launching the Enterprise Medianet Foundation Architecture to help enable rich-media collaboration. Powered in part by the ISR G2, medianets will deliver the next generation of video experiences resulting from high-definition video and innovative rich- media applications. Related customer training: To help customers capitalize on the ISR's new medianet video-enablement capabilities, Learning@Cisco is introducing advanced technology skill-building products for IT professionals working with Cisco video and collaboration technologies. Scheduled to be available in late 2009, these new certification and training products will provide classroom and online enablement opportunities for designing, implementing, and configuring video and medianet solutions. ASR 1002-F Router: Cisco is also introducing a new platform for its Aggregation Services Router - the ASR 1002-F, delivering small-scale highly secure WAN aggregation and private WAN and Internet Edge for Borderless Networks. The new Cisco ASR 1002-F router is a fixed-configuration version of the ASR 1000 Series. 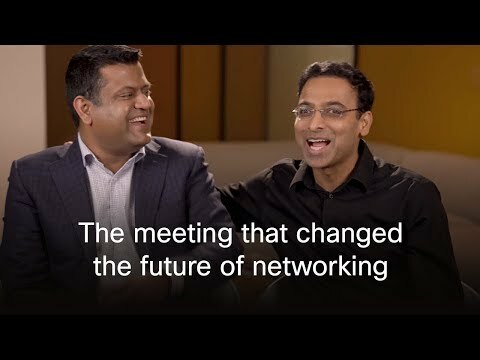 Brett Galloway, senior vice president for Cisco's Wireless, Security and Routing Technology Group: "Networking has always been at the core of Cisco's business. We have a long history of excellence and innovation in networking and we continue to bring customers new capabilities, including new technologies enabling video, collaboration, virtualization and mobility. Our ISR G2 router line significantly increases our customers' ability to capitalize on these key business and technology trends. Our core networking business remains as strategic and as vitally important to us, as it does to those we serve." Richard Palmer, senior vice president for Cisco's Access Routing Group: "Building on Cisco's branch office heritage, the Cisco Integrated Services Router Generation 2 delivers a borderless network experience through service virtualization, new video-ready capabilities and operational excellence. High-performance, secure collaboration across time zones and devices with rich-media services will allow businesses to meet changing needs and increase employee productivity." Mike Marcellin, vice president - global managed solutions, Verizon: "As companies look to grow their business, many are focused on delivering new IP-enabled capabilities, such as video, to all of their corporate locations. The Cisco ISR G2 delivers multi-function capabilities to support the needs of today's highly-distributed enterprise, especially retailers that are using new applications to build store traffic and brand loyalty. Building on its long history of working closely with Cisco, Verizon Business will offer a managed version of this new platform that will centralize ongoing support and management. By coupling the features of Cisco's next-generation global ISR with Verizon's extensive managed services expertise, enterprises will benefit from a low-touch, all-in-one solution." Sean Burke, vice president of network operations, inVentiv Health: "The new ISR G2 series is a significant leap forward, with integrated video-ready and voice services, robust security, as well as the ability to easily deploy new capabilities as needed with the Services Ready Engine. inVentiv's ISR deployment allows worldwide employee and customer collaboration with voice, data and video capabilities, and our Cisco WAAS deployment dramatically speeds application delivery for high-definition video, large data transfers, and other collaboration applications. The addition of Cisco EnergyWise on the ISR G2 EtherSwitch module will allow for dramatically lower energy costs as well."